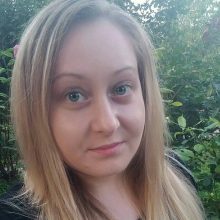 Kristina Davcheva is a speech and language therapist in CSES “P. R. Slaveykov” in Pleven, Bulgaria. She holds a BS degree in speech therapy from SWU “Neophyte Rilski”, Blagoevgrad. She has been working as a speech therapist for children with multiple disabilities, autism, cerebral palsy, Down syndrome and others since 2016. She is applying various approaches such as group therapy and individual therapy with children. In her work, she is using eye-gaze controlled assistive technology for computer access with children and pupils with multiple disabilities. She has presented her work at the SLT conference in Albena in 2017.